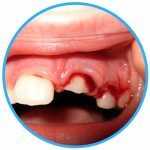 To find the best emergency dentist in Tallahassee FL you simply call our emergency dental referral service and spend one or two minutes speaking with one of the referral representatives, they will be able to help you browse the listings of 24-hour dentists in Tallahassee and point you to the perfect dentist for you. The phone service is 24 hours a day, 7 days a week, the operators are standing by all the time to help connect you to the right dentist. 24 hour dentists can be hard to come by, but in Tallahassee we have you covered two different ways. The first is our phone service, and secondly, we have a directory of emergency dentists listed on this page so you can attempt to contact each dentist directly. Great website, full of helpful information if you are ever facing a dental emergency in the Tallahassee area. I am glad I found it quickly when I had chipped a tooth. There are several different options for emergency dentists in the Tallahassee area. Murrell-Silvers Family and Esthetic Dentistry is an excellent choice if you are looking for a Saturday dentist as they are open from 8:10 am until noon every Saturday. Smile Line Dental and Dr. Marci Beck, DMD are great choices for after hours dentists as they stay open late a couple days a week to help those patients who aren’t able to get in during the workday. Unfortunately, there are no 24-hour dentists in Tallahassee, however, there are excellent hospital emergency rooms you can go to in case the emergency cannot wait. When you are experiencing a dental emergency and do not know where to turn, check out our dental listings below. We have all the information you will need from address, phone number and even open days and hours of operation. If you don’t have time to browse through the list and make calls, make one phone call to our 100% free referral service and let our operators do the work for you! Description: This city in Florida is full of breezy palms and abundant sunshine, and if you are spending time here and fall prey to a massive dental emergency, a quick call to our hotline will get you back on your feet and with a professional in no time. Description: Dr. Murrell, Dr. Silvers, and Dr. Kickish, along with their entire team of dental professionals are committed to providing the highest quality in family and cosmetic dentistry. Their friendly staff ensures your visit to the dentist is affordable and comfortable. Description: Aspen Dental is a great dental practice with many locations throughout Florida. They have after hours Thursday until 8 pm which is great, allowing their patients to get in after working hours. Description: Smile Line Dental believes in providing the best care to their patients and that is why they stay open late Tuesdays and Thursdays in order to provide better service for those who do not get off of work until later. Description: This clinic’s caring and professional team have been providing comprehensive general dentistry and cosmetic dentistry in Tallahassee for fifteen years. They are always accepting new patients and encourage anyone to come in for a consulatation. Description: At Smiles by Beck, they deliver patient-focused dental care with a gentle touch. Dr. Marci Beck, Dr. Glenn Beck, Dr. Brian Beck, Dr. Julie Bailey, and their team members are committed to providing exceptional care based on each patient’s unique smile and treatment goals. *Be sure to have with you your insurance information, the insurance card, or some copy of the policy information or contact information so that the dental office can assure themselves of your insurance coverage. *Also be aware ahead of time that you may need to fill out some paperwork for the dentist and be prepared with your medical history. *Arrive 15 minutes ahead of your appointment so that you can get the necessary paperwork out of the way and still get your procedure done on time. *Make sure to have a list of any allergies and any current medications ready for the appointment. Emergency Dentists USA offers a wide range of emergency dentists who are always ready to address your dental emergency quickly in Tallahassee. You might encounter a broken tooth or a tooth that is chipped or break a wire on your braces. Other common dental emergencies include a lost filling or a loose or lost crown. If you experience any of these common dental emergencies, you’ll want to see a Tallahassee emergency dentist right away! A lost filling is a common dental emergency that can occur while you are chewing gum or eating foods that are sticky. This type of emergency might not be painful if the tooth decay has not reached the sensitive internal portion of the tooth. Use a small piece of sugarless gum to fill the empty cavity, but do not use gum with sugar as this can cause unecessary pain. 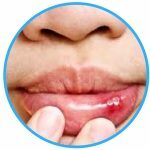 Soft tissue injuries of the mouth include damage to the tongue, the lips, the gums or even the cheeks. You can use a cold compress against the outside of your mouth, lips, and cheeks to reduce swelling. Use a moistened piece of gauze applied with steady pressure to stop any bleeding in the mouth or outside of the mouth that may occur. Knocked out teeth are another common dental emergency that can be quite embarrassing. If your tooth is knocked out during an accident or fall, visit the local ER as soon as possible for treatment. If it isn’t due to an accident or fall and you are waiting to get in to see an emergency dentist, rinse your mouth with water and use a small piece of moistened gauze to apply steady pressure to any area that is bleeding. Find and rinse the tooth if possible using only plain water. Place the tooth into a container of milk or Save-a-Tooth and bring it with you to visit your Tallahassee emergency dentist. An emergency dentist in Tallahassee should be quite easy to find using our 24 hour a day phone service, or by attempting to contact one of the listed dentist directly. We recommend going to the Florida Dental Association’s website here, in order to verify the credentials of any dentist you’re visiting in Tallahassee for the first time.